3. View your shopping cart (button will appear to the right) and complete the payment, Thank you! In addition to the online registration, Hale Farm & Village requires all participants to read the Event Instructions and complete a Reenactor Participation and Risk Agreement. List Additional Adult Registrants All Hale Farm & Village Civil War Reenactment participants are required to register for the event. Please note that participants under the age of 16 are not permitted to carry a firearm on museum grounds. Will you be accompanied by any minor below the age of 18? Any questions or concerns may be addressed by calling the Hale Farm & Village Director Jason Klein at (330) 666-3711 x 1713, or by emailing halereservations@wrhs.org. • All Hale Farm & Village Civil War Reenactment participants are required to register for the event. • The registration fee is $10.00 per person age 18 and older. Minors must be accompanied by a legal guardian and are admitted free. No one under the age of 16 may carry a firearm on museum grounds. • The deadline for pre-registration is July 21, 2017. • Registrations received after July 21, 2017, will not be guaranteed complimentary breakfast rations. • Walk-in reenactors must register the weekend of the event on-site at the Registration Tent to receive event and parking passes. •	Artillery is by invitation only. •	Units must furnish proof of insurance with registration materials. 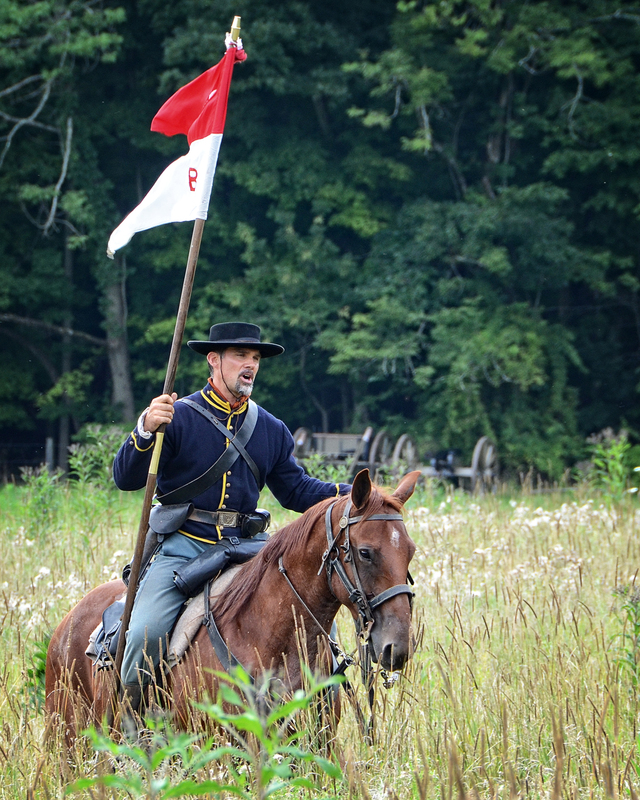 •	Each participant will receive a Reenactor Pass, which must be carried at all times, and a Parking Pass, which must be in display in their vehicle, at the Registration Tent upon arrival. •	Each individual participant is required to submit a signed, dated Risk Agreement with registration form and payment. •	Breakfast will be distributed as rations at Command Staff Headquarters on Saturday morning during public hours. Please bring cookware to prepare your breakfast. o	All participants must check in at the Hale Farm & Village Registration Tent upon arrival. o	The Registration Tent is located at the end of the Main Driveway. The tent serves as the Check In for all Civil War Reenactors, including those who pre-registered. o	Walk in registration is permitted, and Commanders will be contacted concerning all additional reenactors. 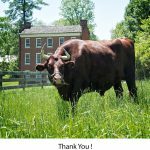 o	Reenactor parking will be in the South Pasture, the fenced in field to the south of Hale Farm’s main driveway. This area will be designated as such during the event. o	All vehicles must be removed from the museum grounds by midnight on Friday and vehicles are prohibited from entering museum grounds until after the battle on Sunday. o	Please notify HF&V of any special needs before the event. o	Parking passes will be distributed at the Registration Tent and must be displayed at all times in your vehicle. •	No camp is to be set up prior to 10:00 a.m. on Friday, August 11th without permission from the HFV Director. •	Camping areas are near water and restroom facilities. •	Electrical hook-ups and showers ARE NOT available on the grounds. •	Ice for personal use (coolers, beverages, etc.) may be purchased at the Hale Farm & Village Gatehouse Cafe during regular business hours 9:00 a.m. to 5:00 p.m.
•	All participants must conduct themselves in an appropriate manner for a family-oriented museum at all times. •	Children under the age of 16 must be accompanied by and supervised at all times by a legal guardian; children under the age of 16 are not permitted to carry a replica firearm. •	NO ALCOHOL is permitted on the grounds of Hale Farm & Village. •	NO PETS are permitted on the grounds of Hale Farm & Village. •	Sod is to be removed before digging any fire pit, and is to be replaced Sunday morning. •	All unused firewood must be returned to the main woodpile at the close of the event. •	Trash containers, provided by Hale Farm & Village, are to be utilized at all times. •	Noise should be limited in all camps during the evening hours. •	NO CLEATS are to be worn in any museum buildings because of potential damage to the historic flooring. •	PLEASE NOTE: Hale Farm & Village reserves the right to ask that anyone who does not maintain good conduct or act in a safe manner to leave the ground immediately. •	Tear down will begin Sunday, August 13, AFTER the event closes to the public at 5:00 pm. If you have special needs in this regard, please contact HFV at (330) 666-3711. •	Additional restroom facilities have been placed throughout the Museum Grounds. Please note that Hale Farm historic and modern buildings are locked during non-museum hours, including permanent bathroom structures. •	Firewood is available for each encampment, Union & Confederate, on a first come first served basis. Registered reenactors will receive a firewood token at the Registration Tent upon arrival. Fires in camp are permitted. Please dig out sod, and replace at the end of the weekend. Active fires must be attended at all times. •	Water Buffalos have been placed throughout the property for your convenience. They will be refilled once on Saturday. •	Ice may be purchased at the Hale Farm & Village Gatehouse Cafe during regular business hours 9am – 5pm. The Civil War Ball will begin at 8:00 p.m. on Saturday, at the Carriage Shed Pavilion behind the Meetinghouse. o	Complimentary Breakfast Rations for all pre-registered reenactors will be offered. Breakfast will be distributed as rations at Command Staff Headquarters on Saturday morning during public. Please bring cookware to prepare your breakfast. I/We will abide by the rules and guidelines detailed in the General Instructions and Information sheet. I/We will supervise at all times, and take full responsibility for, any children under the age of 18 that I/We have brought to the Hale Farm event. I/We understand that minors under the age of 16 may not carry a firearm on museum grounds. I/We understand that no alcohol or smoking is permitted on the grounds of Hale Farm at any time. I/We understand that no vehicles are permitted on the grounds of HF&V during museum hours. This includes general visitation hours, as well as evening programs. I/We will adhere to all N.L.C. Safety Regulations at all times. If I have not yet read these regulations I will request and will have read a copy before the event. These regulations are available online at the Official Site of the United States Volunteers Inc. at www.usvolunteers.org. I/We understand that under Ohio law an equine professional is not liable for any injury or death of a participant in equine activities resulting from the inherent risk of equine activities, pursuant to Section 2305.321, Ohio Revised Code. I/we understand that United States Cavalry are required to show coggins papers at the registration tent. I/We understand that HF&V reserves the right to request that anyone leave the event, for any reason, at any time. Reasons include, and are not limited to, unacceptable treatment of museum staff, volunteers, visitors, interns, reenactors, poor conduct, and refusal to abide by safety rules. I/We and our guests/vendors will use the premises in a careful, safe and proper manner; neither doing nor permitting any act that may increase the fire hazard or insurance. I/We agree to indemnify HF&V/WRHS, its Trustees, officers, employees, and agents from all losses, liabilities, damages, costs, and expenses (including, without limitation, attorney fees and litigation expenses) that they, or any of them, may incur by reason of the use and occupancy of the HF&V/WRHS facilities as set forth by event participants. HF&V/WRHS will provide prompt written notice of any claim, action, or preceding that could rise to a right of indemnification under this Agreement. Notwithstanding such notice, HF&V/WRHS may at its sole discretion defend or settle such claim, action, or proceeding. HF&V/WRHS may also engage, at the participant’s expense, independent counsel to advise it with respect to any claim, action, or proceeding that gives rise to a right of indemnification under this Agreement. I/We must indemnify HF&V/WRHS within ten days after receipt from HF&V/WRHS of notice describing the nature and amount of any claim for loss, liability, damage, cost, or expense. I/we agree to pay all reasonable fees and expenses (including, without limitation, attorney fees and court costs) incurred by HF&V/WRHS in connection with its enforcement of this Agreement. I/we assume full responsibility for theft, loss or damage to any property, equipment brought to HF&V property. I/We agree to reimburse HF&V/WRHS for any breakage or damage to museum buildings and/or grounds caused by me or my guests. All photographs or videos taken by HF&V/WRHS or an affiliate of said party remain the property of HF&V/WRHS to use for advertising, display, or any purpose thought proper by HF&V/WRHS. I have read and understand the above information. I agree to adhere to the rules while a guest at Hale Farm & Village. Further, I acknowledge that as a reenactor, I interpret and portray life as it was during the 19th century and that there is inherent risk in the activities in which I will be participating. I do hereby release and hold harmless the Western Reserve Historical Society and Hale Farm & Village, its agents, employees, volunteers, and interns from and against any and all claims or liabilities which may be asserted against them arising from any personal injury or property damage sustained by myself and/or any of my minor children.